Gym Falls and More There are some crazy people out there. But they do make me laugh. My Favorite was at 8:20. I hope he didn't get hurt. 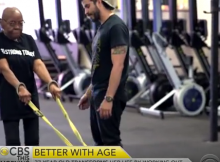 Crossfit helps 77 year old Women A 77-year-old transforms her life through CrossFit. She said to stop the whining and take care of youself. She lost 50 pounds. 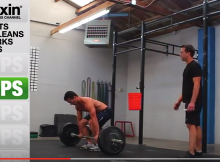 Mens Basic Crossfit Workout This is a Basic fullbody crossfit workout. deadlifts,squat clean,push jerks and pull-ups. He recommends 1 a week.